27 « July « 2016 « Nothing in Biology Makes Sense! On this final installment of Planet Earth we go to the least explored, and vastest space on Earth, the oceans. So without further ado, let’s dive right in (pun intended)! 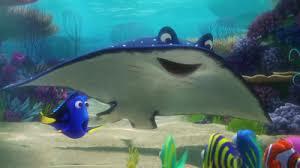 And because many of these species are found in the new summer movie, Finding Dory, I will attempt to use as many images from this movie as possible. 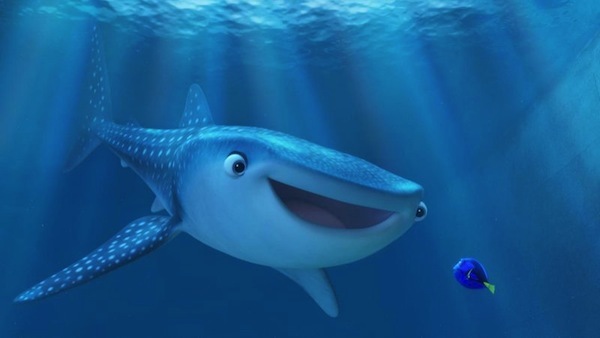 We start with the whale shark, which are kind of tricky to evaluate because there is currently no robust estimate of the population size of whale sharks. These gentle giants have a long lifespan and slow maturation rate, which is one of the reasons they are listed as vulnerable. 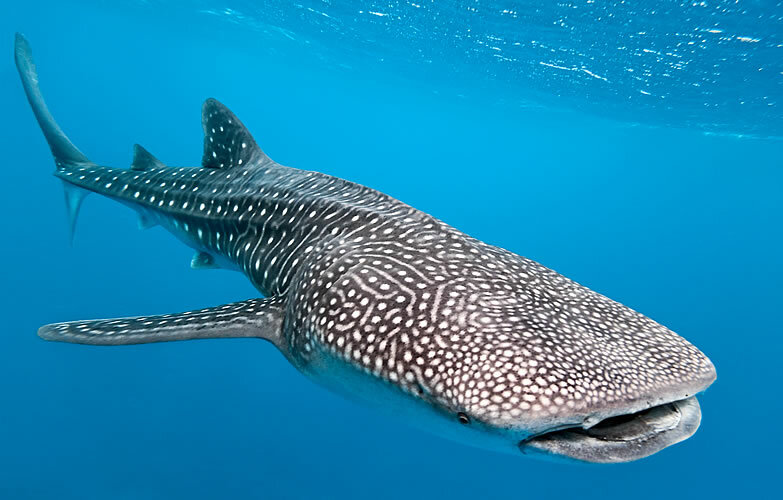 Additionally, the 2010 oil spill in the Gulf of Mexico occurred in prime whale shark feeding area. While it was confirmed that the massive sharks were sighted within the oil spill, no dead whales were found (do whale sharks sink when dead?). Competing with the whale shark for tiny delicious fish we have the Yellowfin Tuna. If you are a lover of sushi, or even just a casual liker of sushi, then you like yellowfin tuna. The dark fatty meat makes my mouth water. But this is the problem, as the population is rapidly declining due to overfishing. Big time. They are currently on the “sustainable sushi ” list of multiple different organizations (the fish you should avoid eating if you want your meal to be sustainable). Speaking of massive filter feeders, we now shift our focus to the vulnerable manta rays. These giants are so evil looking (I mean come on, they practically have horns), it’s surprising that like the whale shark they primarily feed on plankton. They are threatened by overfishing, which is especially problematic given they tend to hang out in waters that are fished… because they like to eat. 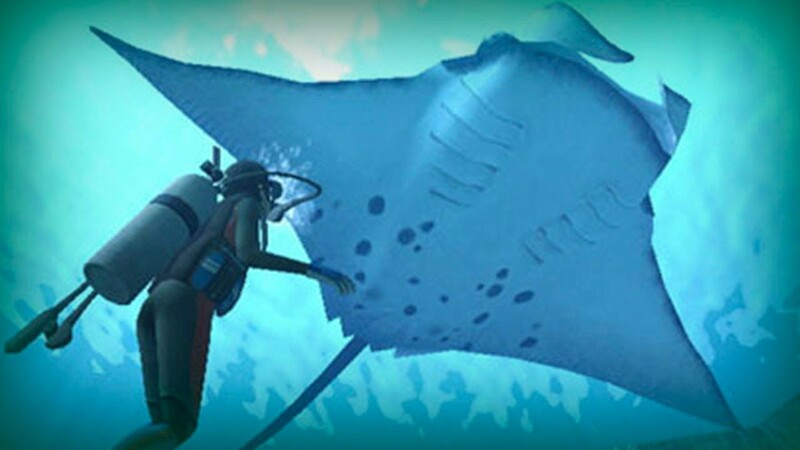 Capturing and hunting of manta rays is banned in many countries, but commercial fishing continues in others. Rounding out our discussion of massive animals that feed on tiny things, we need to spend a minute talking about the blue whale. The largest creature that has ever lived (yes, including dinosaurs, I asked and Sir David Attenborough answered) these graceful giants are endangered. Although not recently (This is supposed to be an update after all) The blue whale suffered from the heyday of whaling which brought the population almost to the brink. Additionally, they have a tendency to run into boats, get caught in fishing nets, and are still occasionally hunted (cough, Japanese, cough). However, the populations have recently seen a rise, which means they may be out of the woods! Assuming their food supply, krill, isn’t killed off too quickly due to global warming. The septapus (an octopus who lost a set of arms) from Finding Dory. We know that corals around the world are dying (and if you don’t know, read about it here). Soft corals are not an exception to this rule, and since the airing of Planet Earth they have been dying. While our corals and many other species are declining, I recently posted the opposite trend, that cephlapods are in fact INCREASING. This include the adorable dumbo octopus we see, as well as the nautilus. 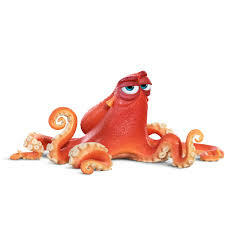 And the septapus we know from Finding Dory. 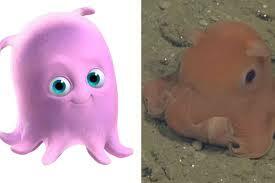 The dumbo octopus, both real life and Pixar style. Finally, our knowledge and understanding of the life around ocean vents has catapulted forward, mostly due to the sequencing of every microbiome that has ever existed. And we love sequencing around ocean vents because the most basal of lifeforms, extremophiles, or archae bacteria, are found near ocean vents. In addition, they are promising for a number of initiatives including their propensity to eat things that we want to get rid of (read about it here). Thank you for joining us as we revisit the Planet Earth series!